Notions from Natalie: Beach blankets and more!!! 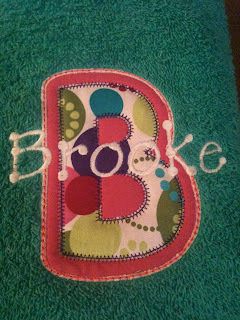 Today, insomnia struck me. Since I was up at 3:30am, I decided to sew! 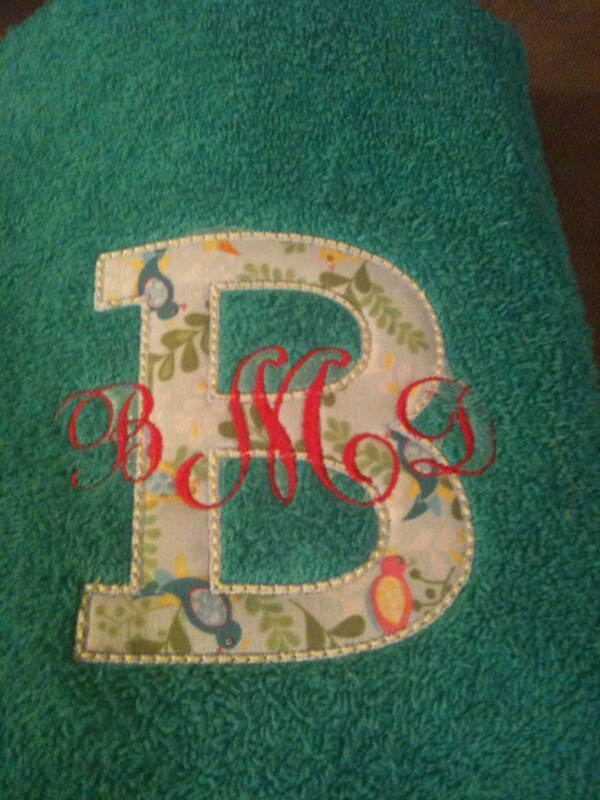 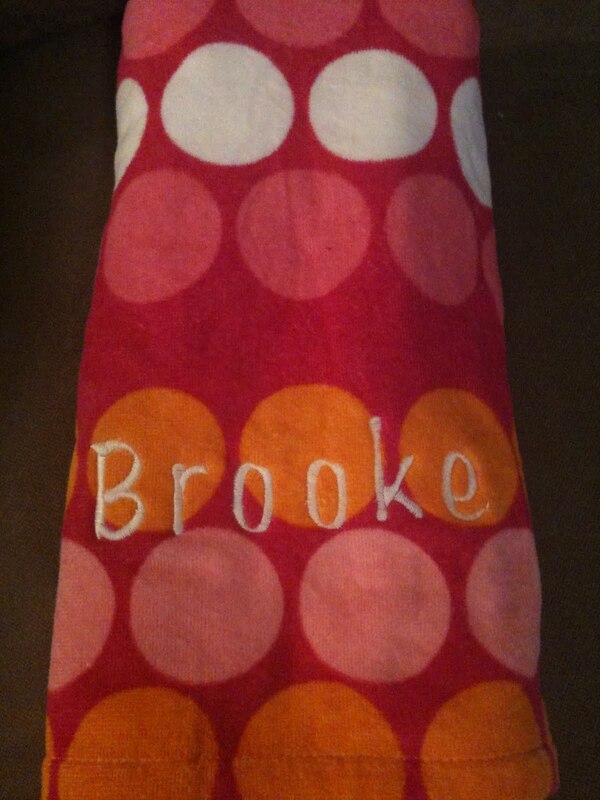 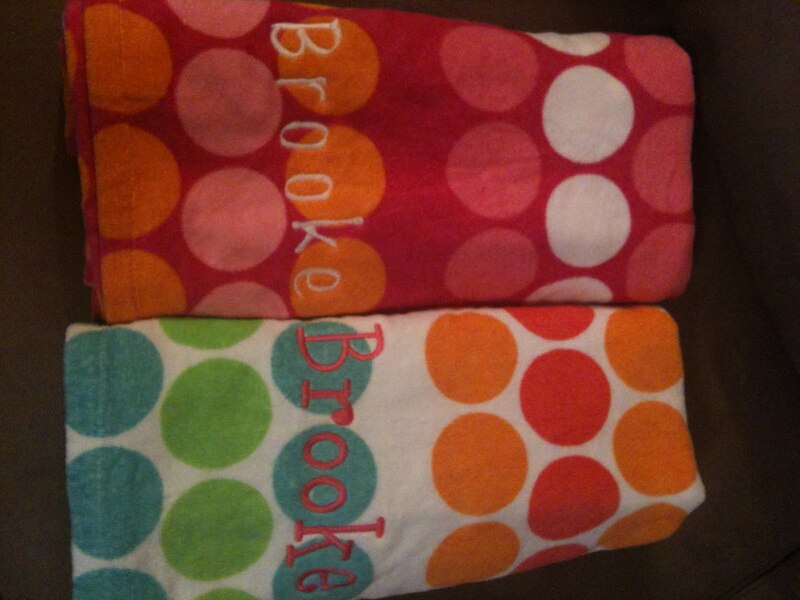 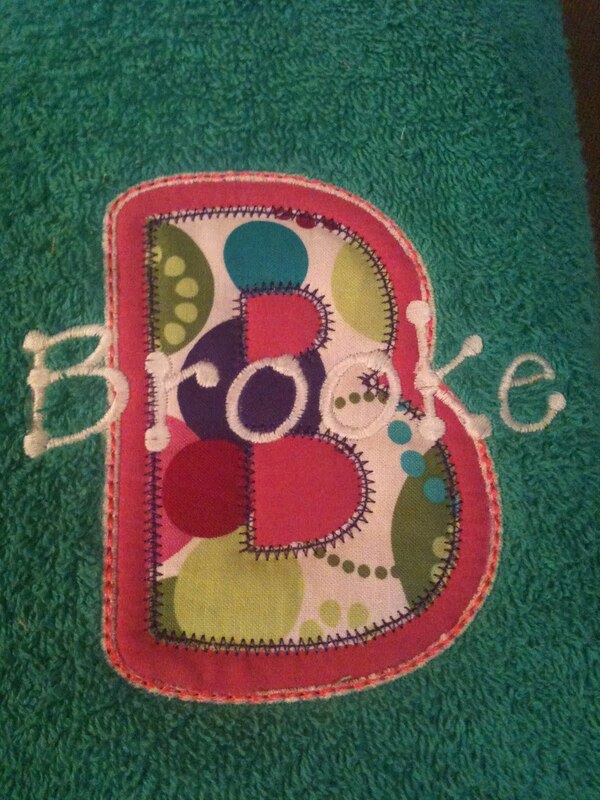 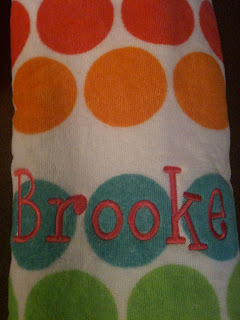 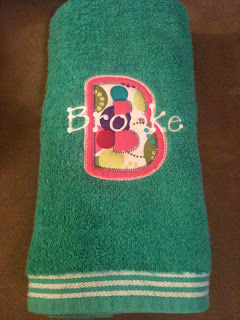 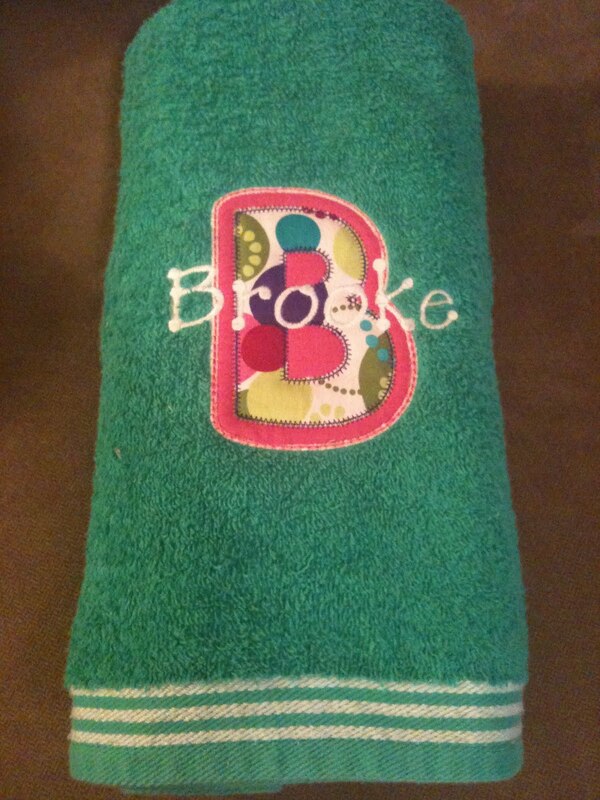 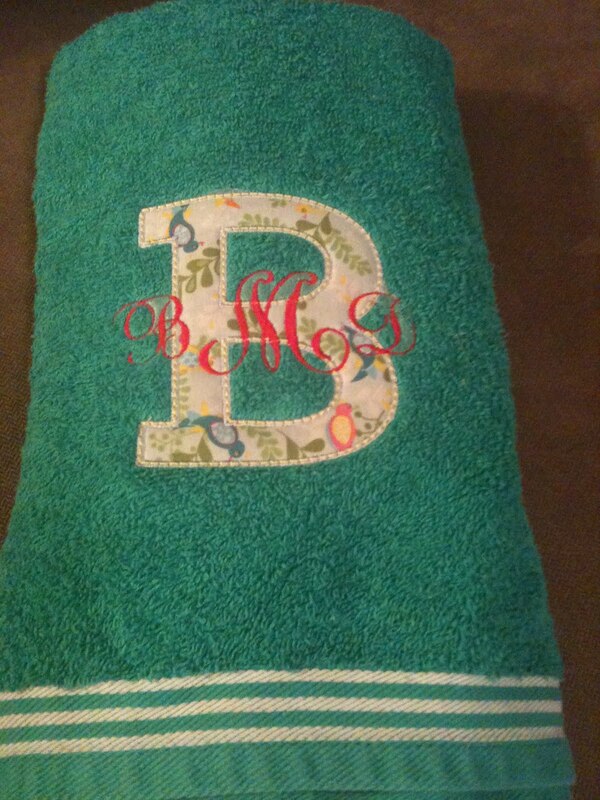 I was a busy bee and was able to complete 4 beach towels that had been purchased by my friend, Brooke. 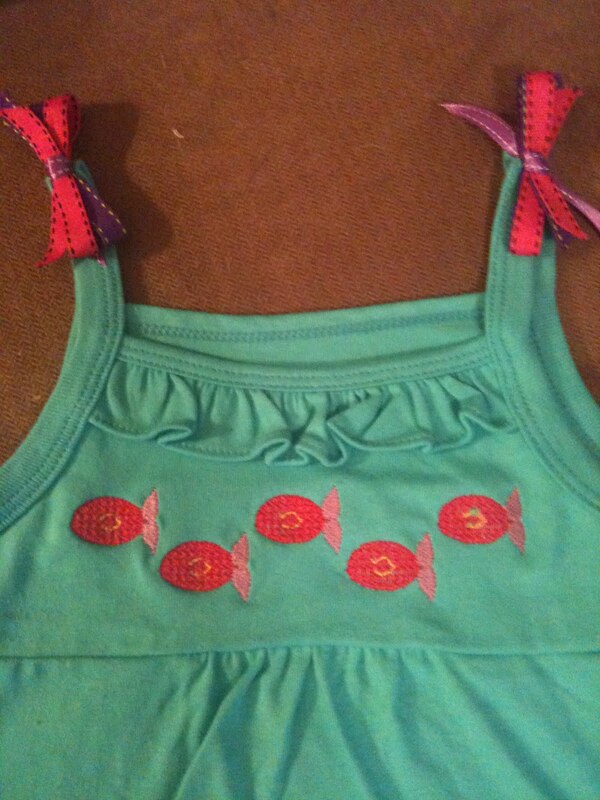 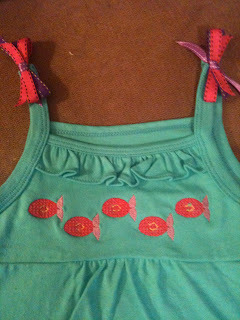 I also sewed on bows as embellishments to two of the shirts I embroidered yesterday. 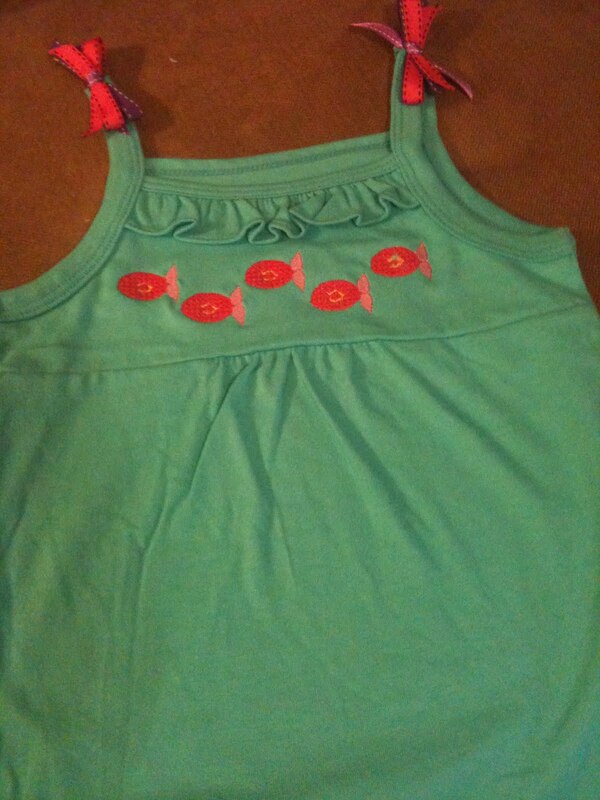 In addition to the 11 shirts I intended to embroider or applique for Cecilia, I found 2 more blank shirts and 1 dress while I was putting up laundry last night. Added to the stack, I am hoping I can get them all complete before going back to school! 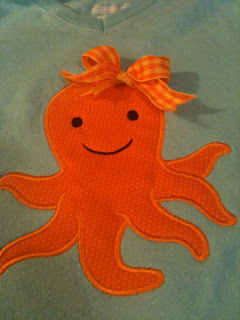 I sewed on a cute orange and yellow bow and then made one to match for Cecilia! I added purple and pink bows on the shoulder and then made a hair bow for Cecilia!